This Friday, November 30 at 7 PM is the Carlisle Christmas Parade. Students should note that the line up location is now near the firehouse at 177 Carlisle Springs Road. The boosters would like to invite our band students, band families, staff, and alumni to a Cookies and Cocoa Reception following the Carlisle Christmas Parade on Friday, November 30, 2018. The reception will be held in the St. John’s Episcopal Church. Alumni – we would love it if you could join us for the reception! Please RSVP if you plan to attend. We need parents to sign up to donate cookies, salty snacks, dessert plates, and also to help with setup and cleanup. Sign Up Here. If you have any questions contact Allison Waring at treasurer@carlislehighschoolband.org. The boosters would like to invite our band students, band families, staff, and alumni to a Cookies and Cocoa Reception following the Carlisle Christmas Parade on Friday, November 30, 2018. The parade begins at 7 PM and the reception will be held in the St. John’s Episcopal Church. 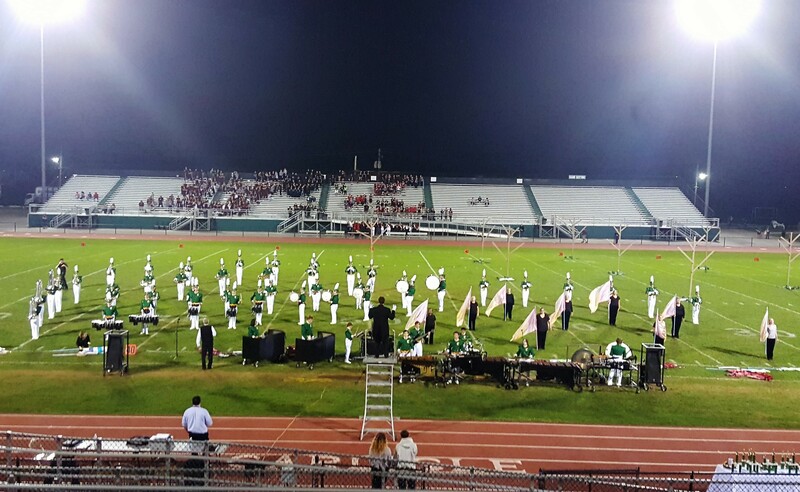 It was an incredible night for our band competition and our band had their best show by far this season with a score of 80.80! WAY TO GO CARLISLE! View scores and recaps here. Video from the show can be found in our Members Only section. A special thanks to each and every volunteer who helped to make our show such a success. Whether it was donating food or donating your time – we couldn’t have had such an amazing show without your help. THANK YOU! Car show passes will be available on Monday during prep, on Tuesday before and after rehearsal, and Thursday before and after rehearsal. All passes must be turned in when finished with them. If you have any questions, contact Hope at concessions@carlislehighschoolband.org. 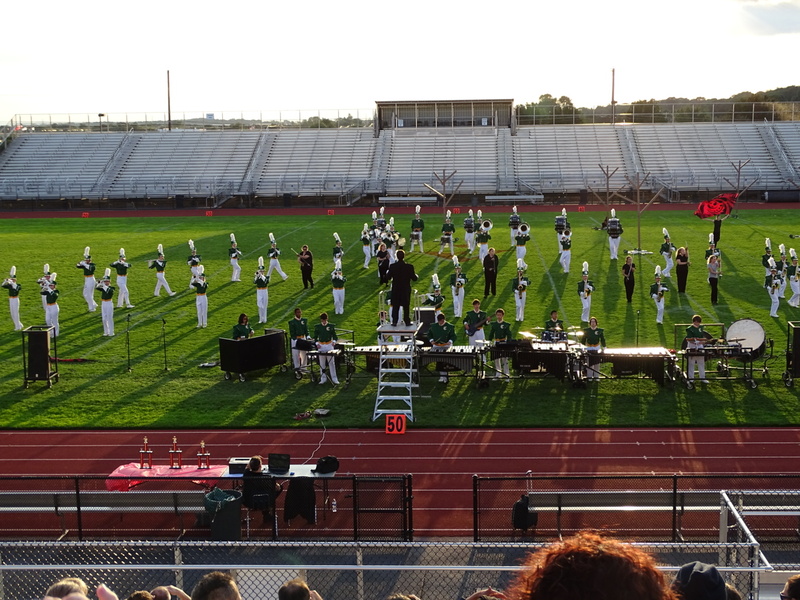 Congratulations to our band students last night on another stellar performance at the Cumberland Valley marching band competition. Scores and recaps are available on our 2018 Competition page and photos from last night are available on the CHS Photo Albums page. October 6, 2018 is our next band competition – our home show, the Keystone Invitational! The gates will open at 6 pm and the show will begin at 7 pm. For more information including a schedule visit our Keystone Invitational page. Tickets can be purchased online or the night of the performance with cash. Click here for ticket information and to order your tickets online. Come out Saturday and enjoy a night of incredible musical performances and experience why music education in our schools is such an integral and valuable part of the education of all students! We are still in need of help for Friday night’s football concession stands. The Altoona band is coming and we need help to feed them. PLEASE sign up to help. Car show prep is this this Saturday at 8 AM and Monday at 6 PM. Please come out to the car show concession stand and help crack eggs and make bacon! Car show starts next Wednesday and goes until Sunday. Students may help Saturday, October 6, but only during the first shift until 10 am, due to rehearsal and the Keystone Invitational. Sign up here! Help is needed for our Keystone Invitational, especially in the concession stand. We need everyone helping to make our competition a success! Click here for signups for concessions, food donations, and other volunteer opportunities. The Keystone Invitational is two weeks away! We are in need of volunteers to help with concessions, parking, setup and cleanup. This competition is a time for all of our band families to pitch in and help, so please sign up to help! We also need donations for our baked goods table as well as for the hospitality tent for directors and judges. For more information and signups for food donations and to volunteer visit the Keystone Invitational Volunteer Opportunities page. There is a lot going on with concessions in the next few week, so please check out our signups and volunteer to help raise money for the band!